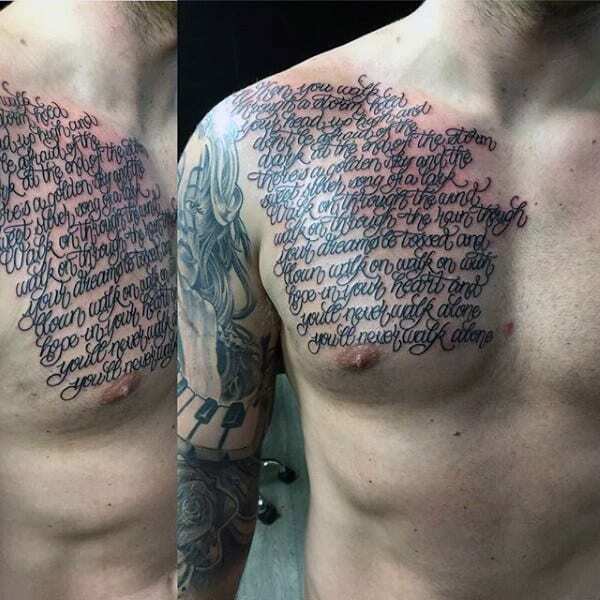 The truth is, all words spoken come with a cost. 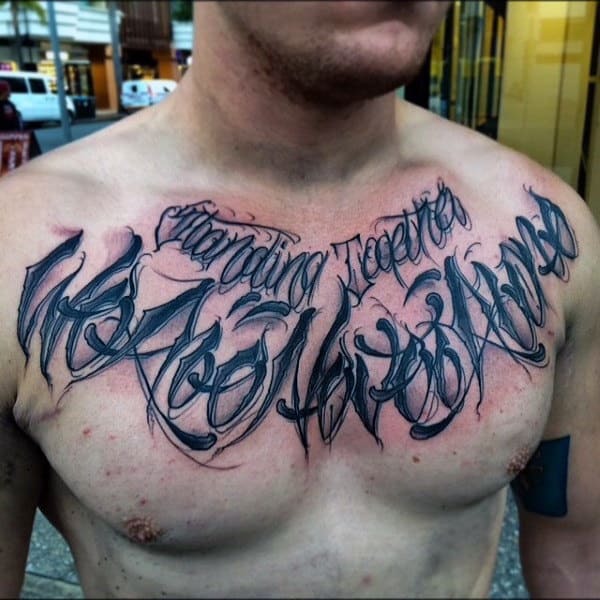 Mankind’s great power, the gift of speech, can inspire just as easily as it can destroy. 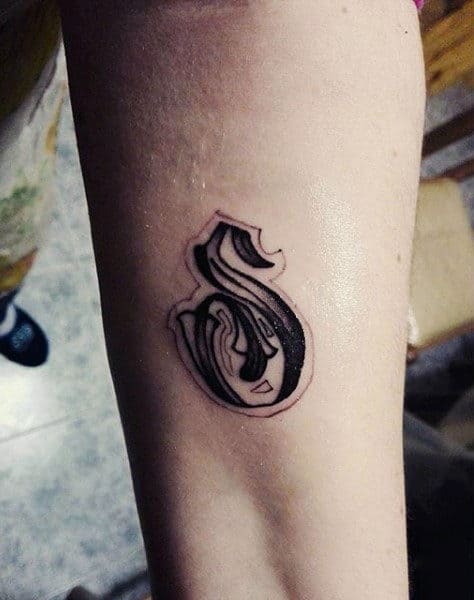 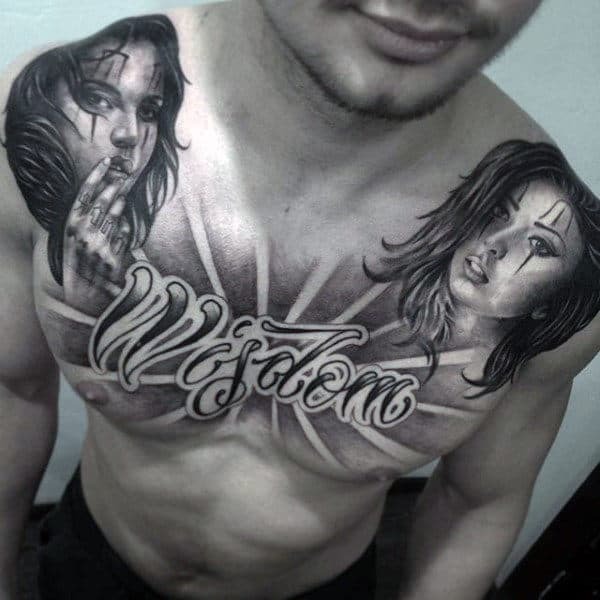 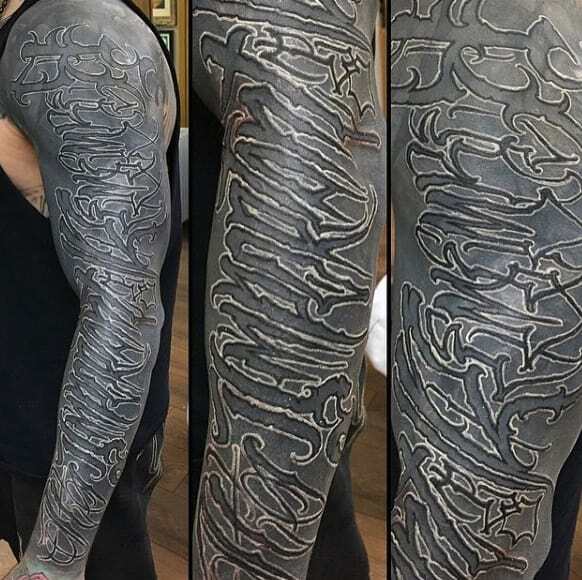 When it comes to the thought of tattoos, the concept is no different. 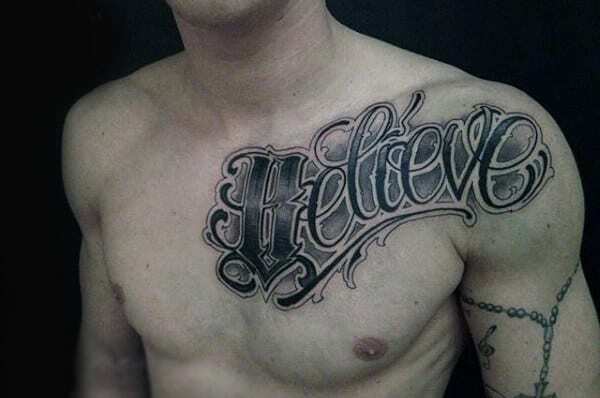 All designs can invoke a recreation or message without so much as needing to communicate anything vocally at all. 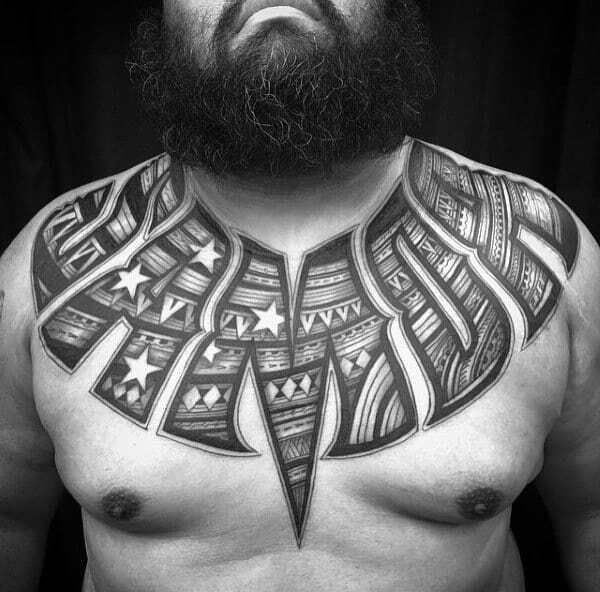 The display of art work speaks for itself; telling a story that pokes at our own sense of curiosity. 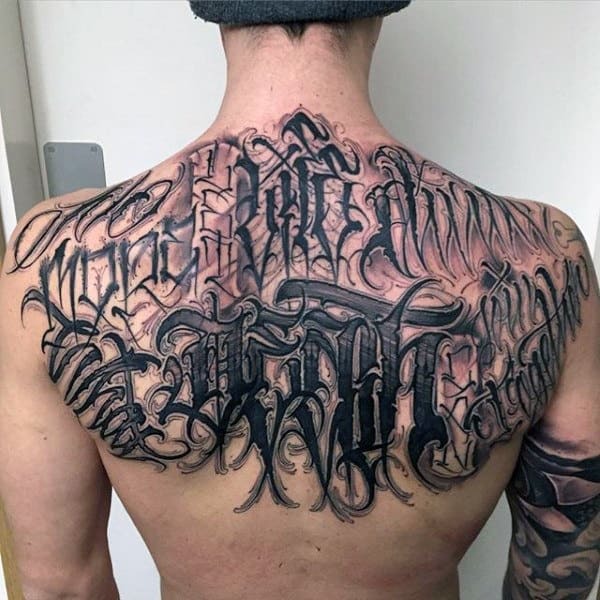 However, the traditional form of lettering still remains quite popular today, even with realistic designs that can paint a thousand words in a single picture. 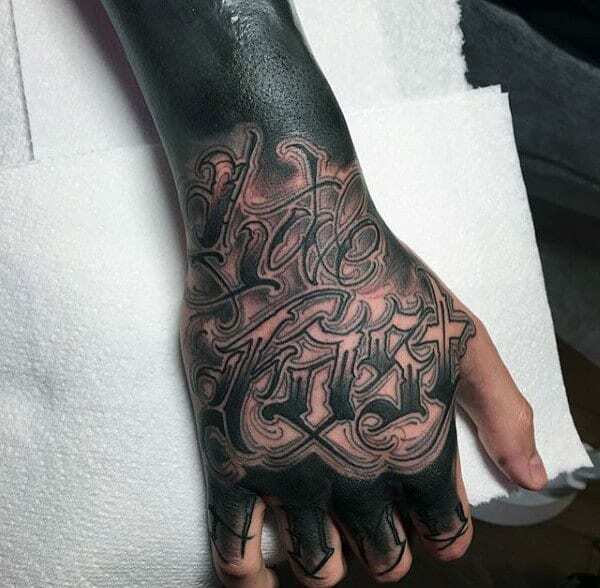 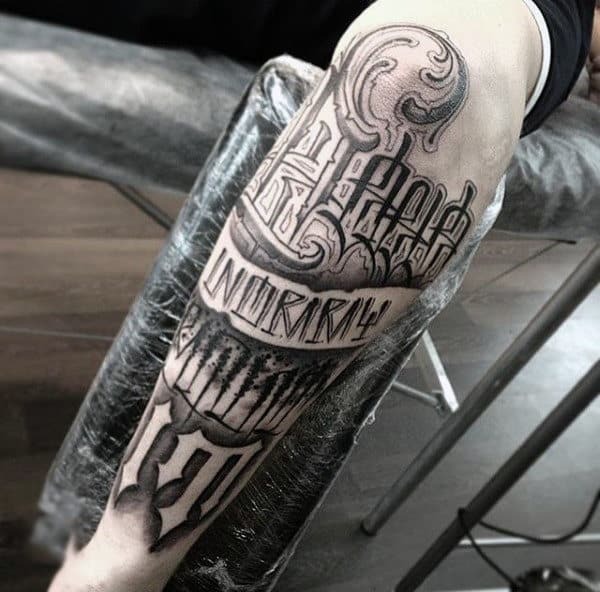 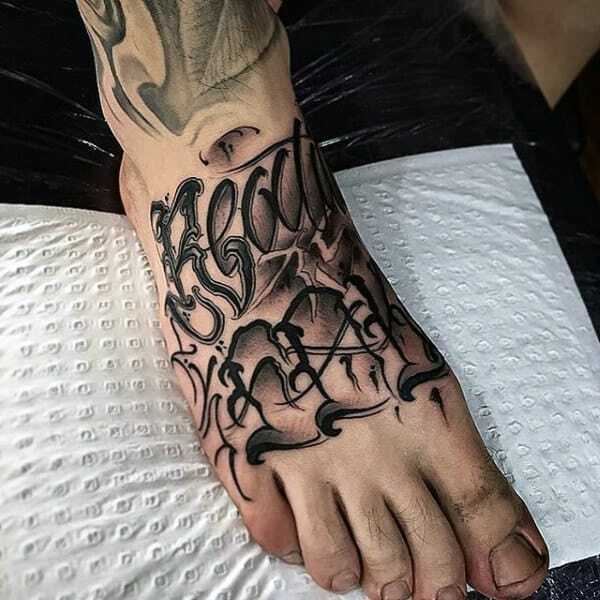 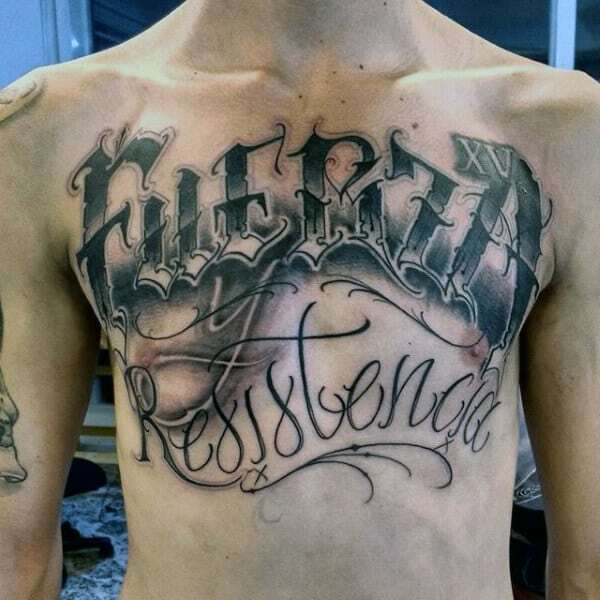 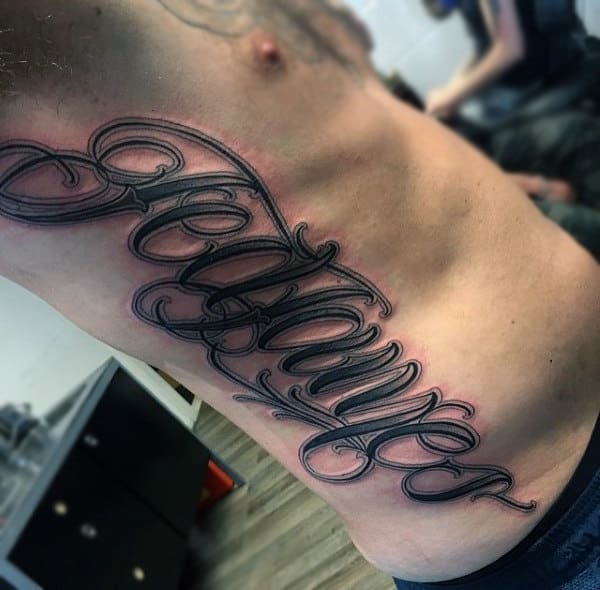 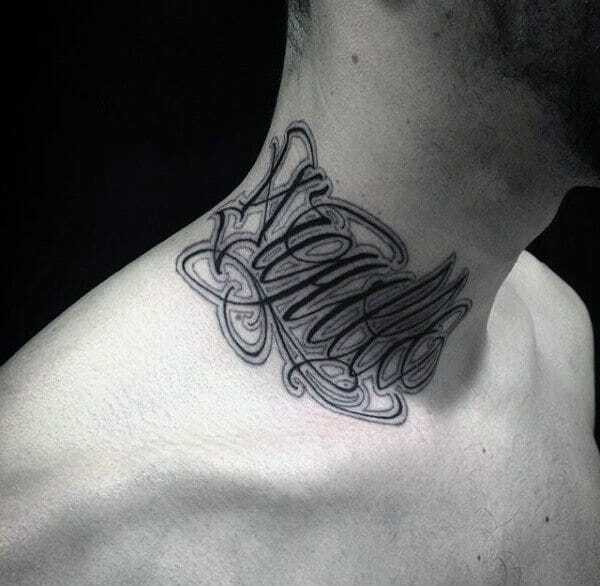 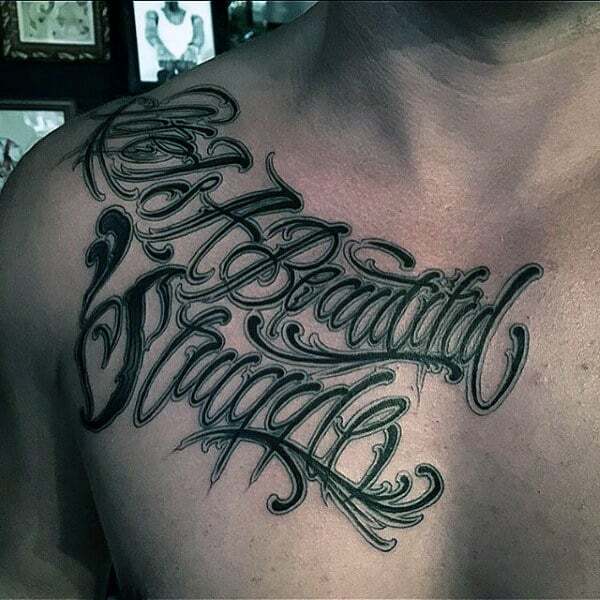 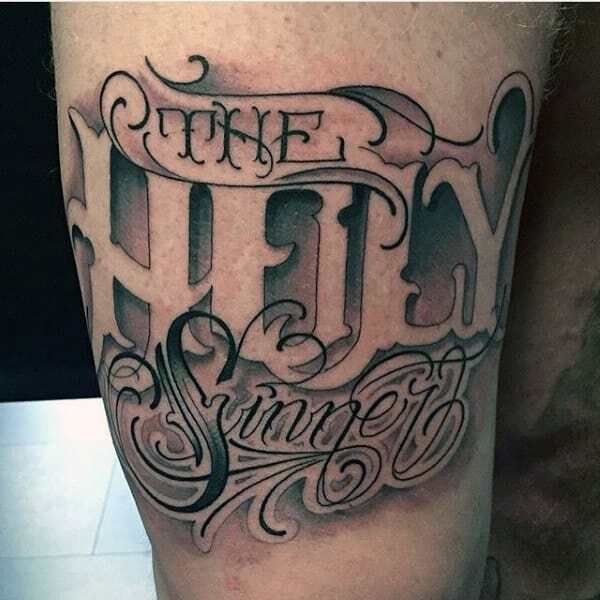 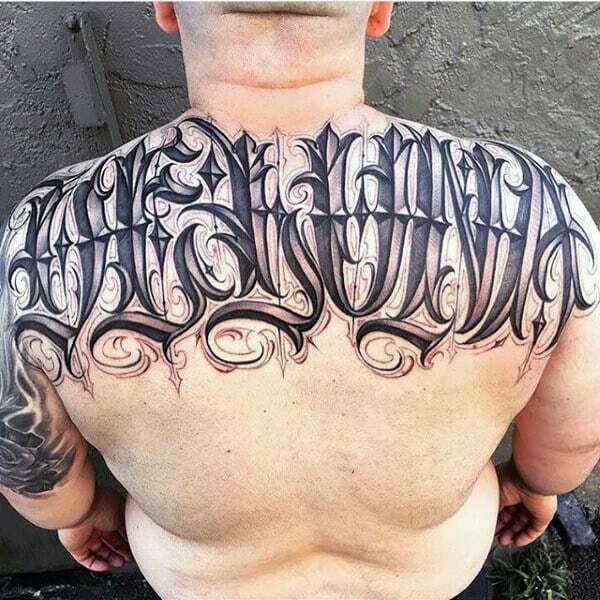 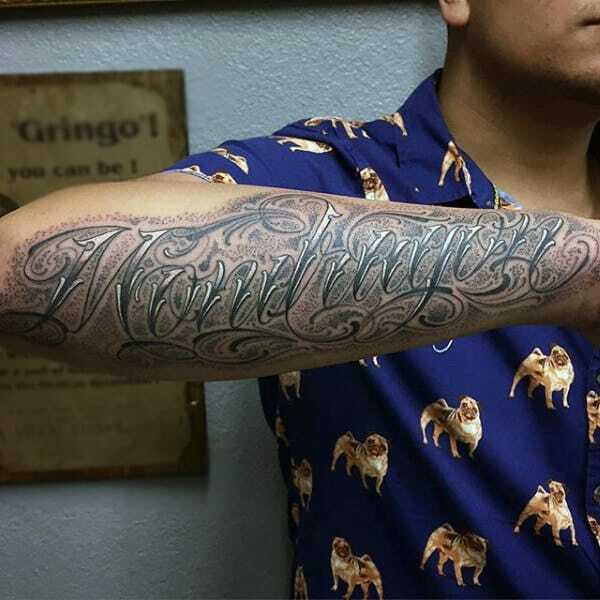 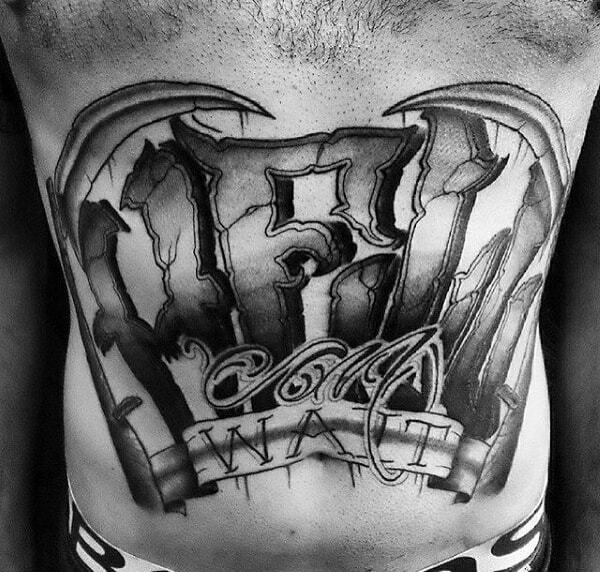 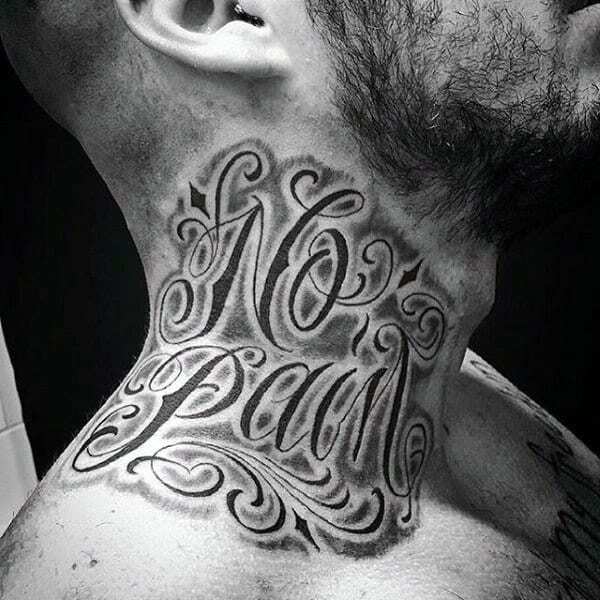 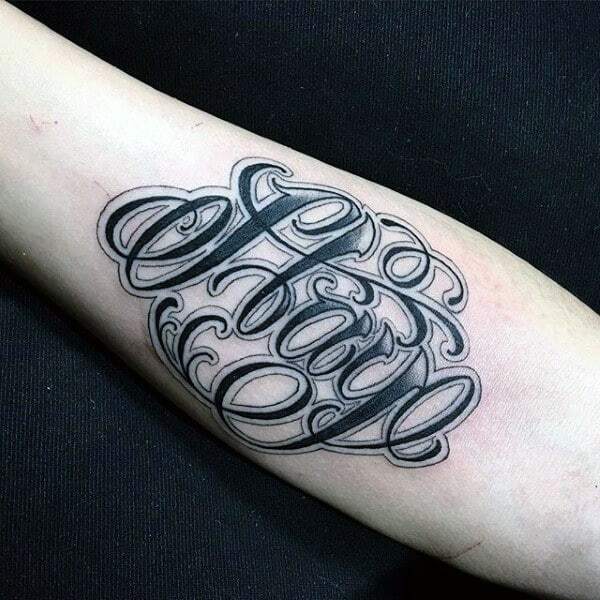 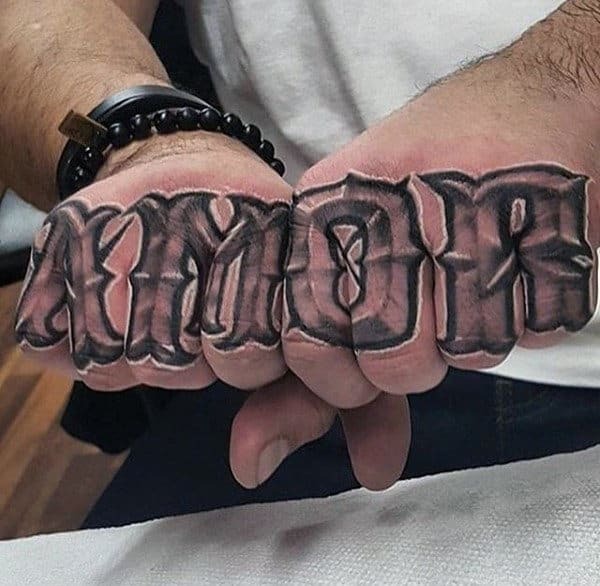 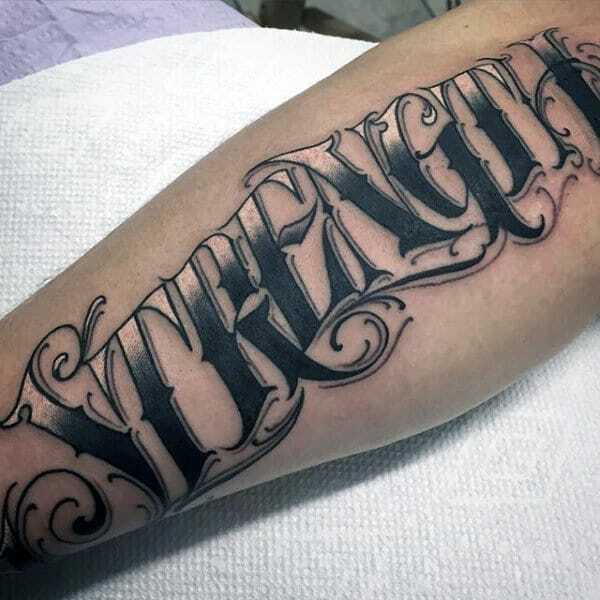 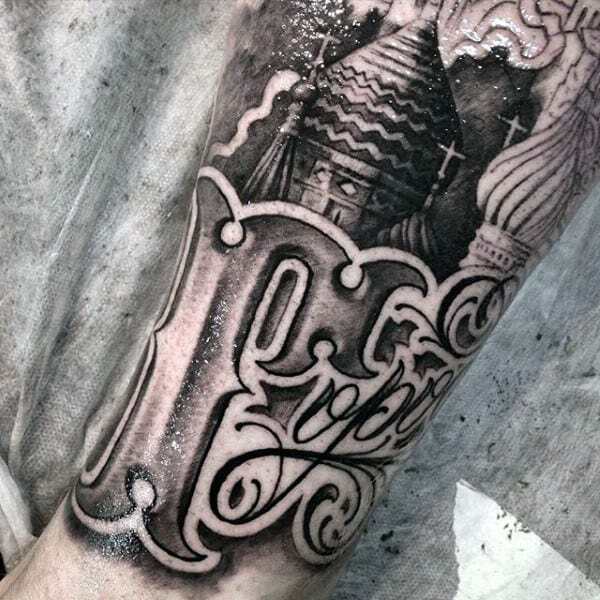 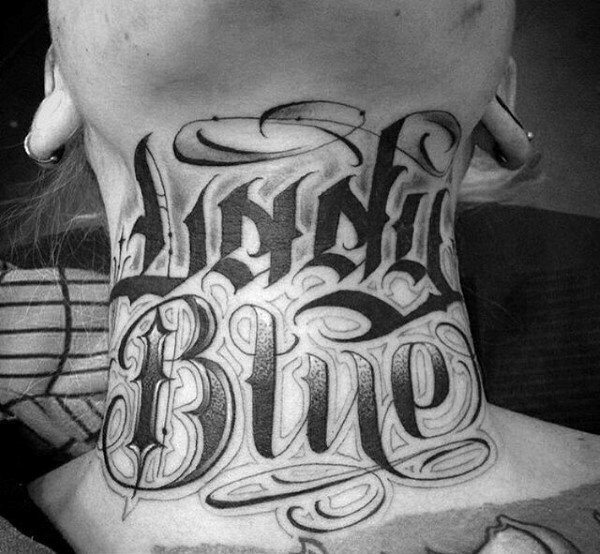 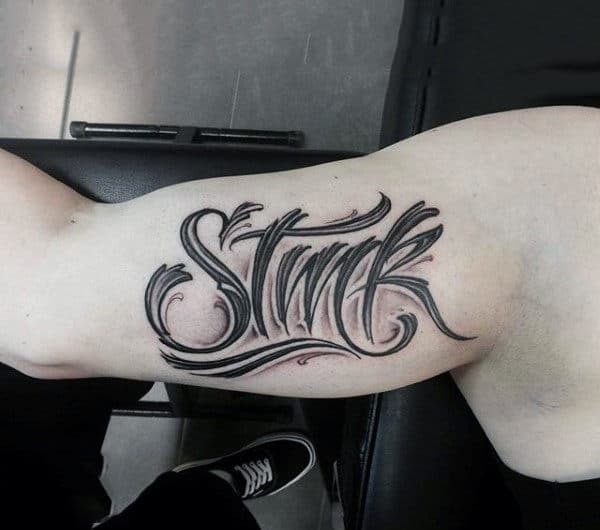 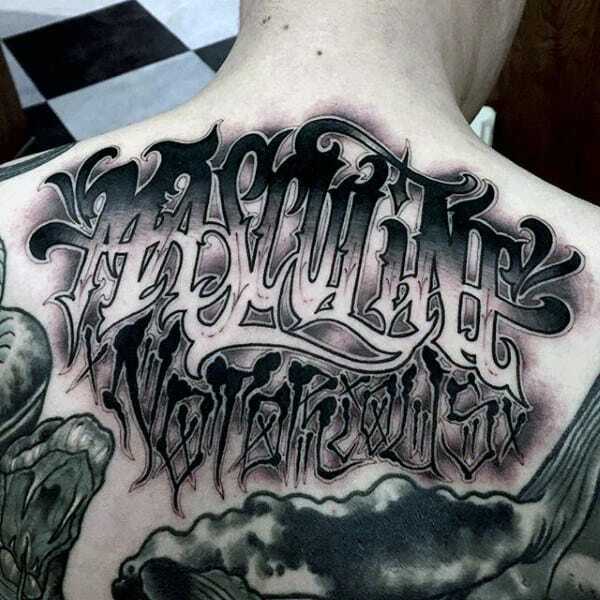 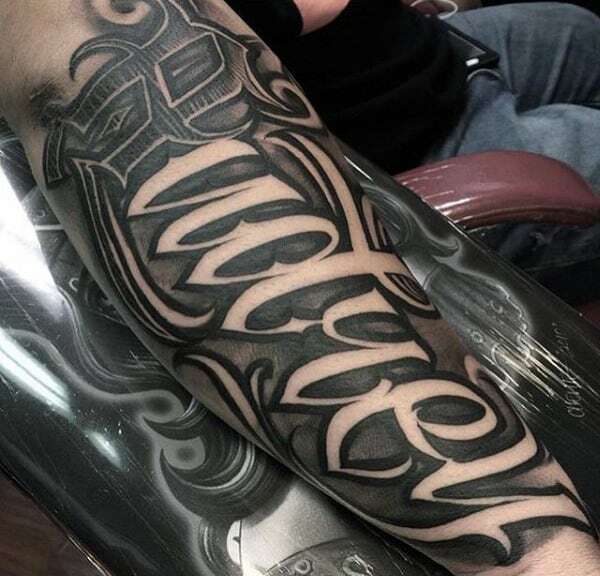 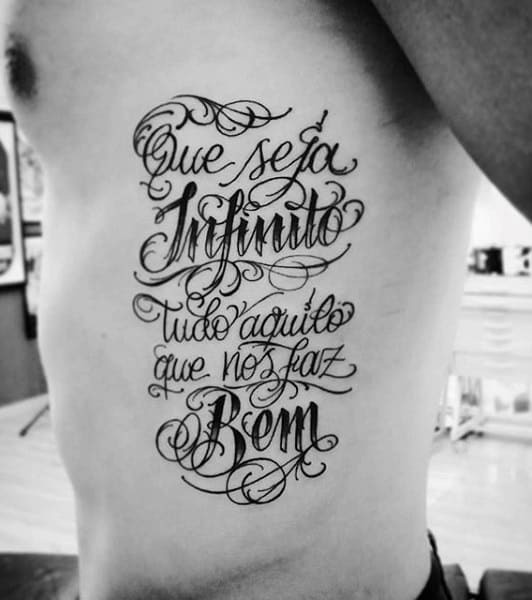 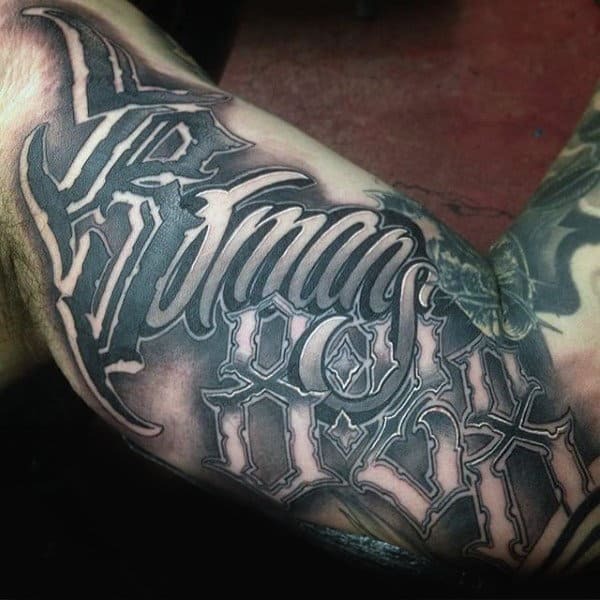 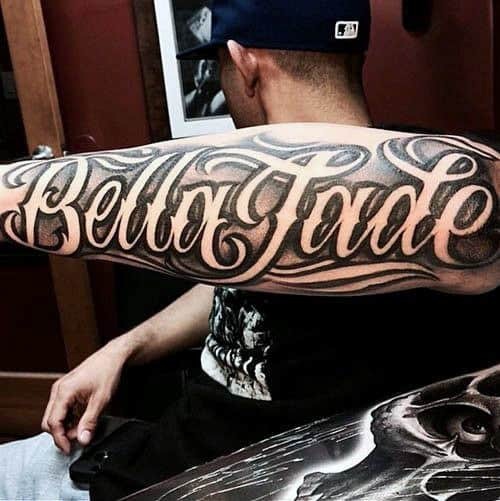 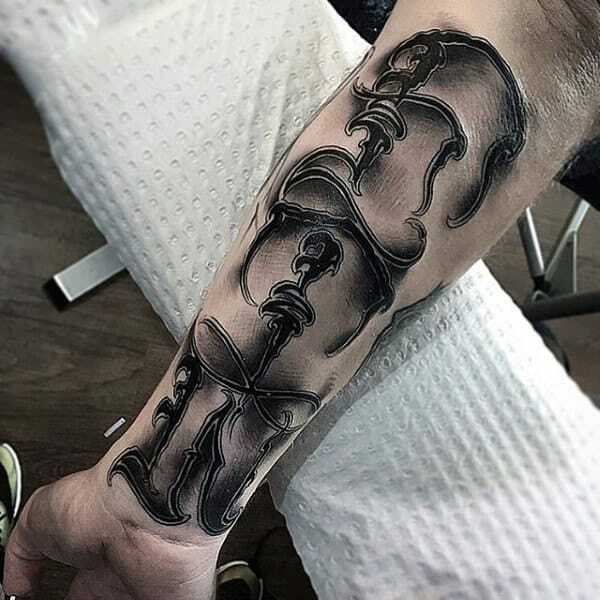 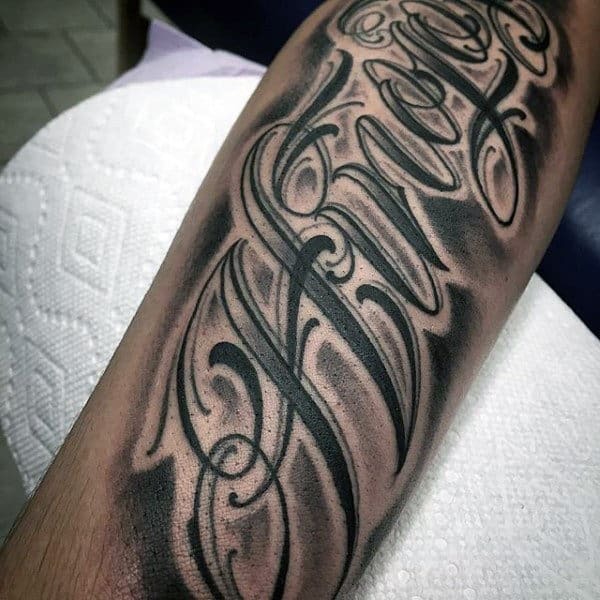 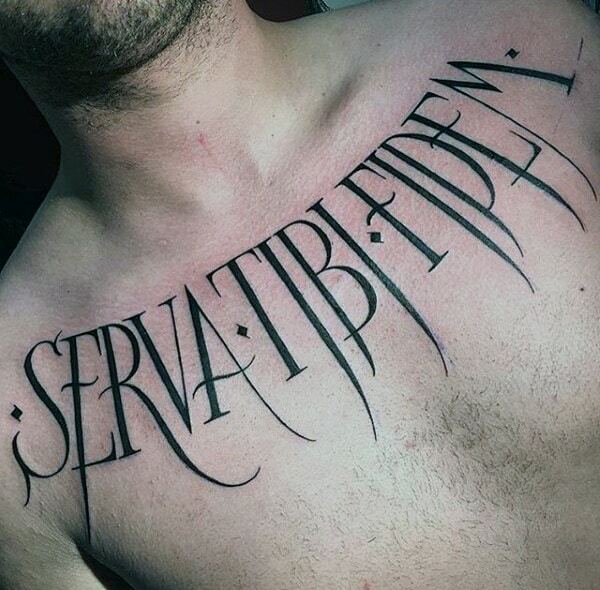 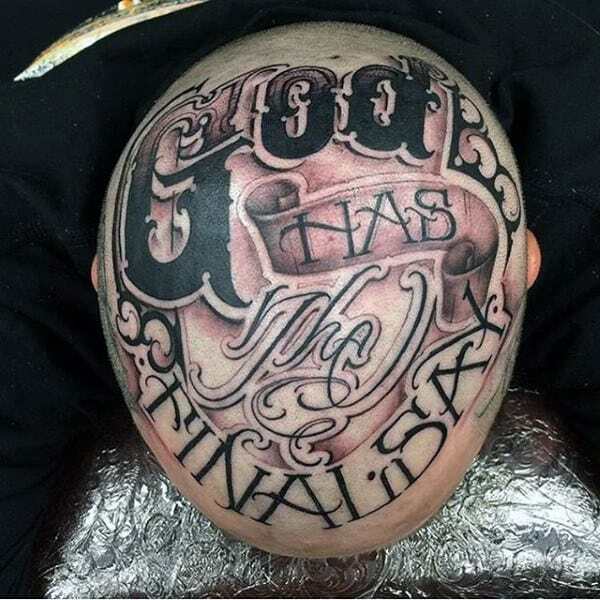 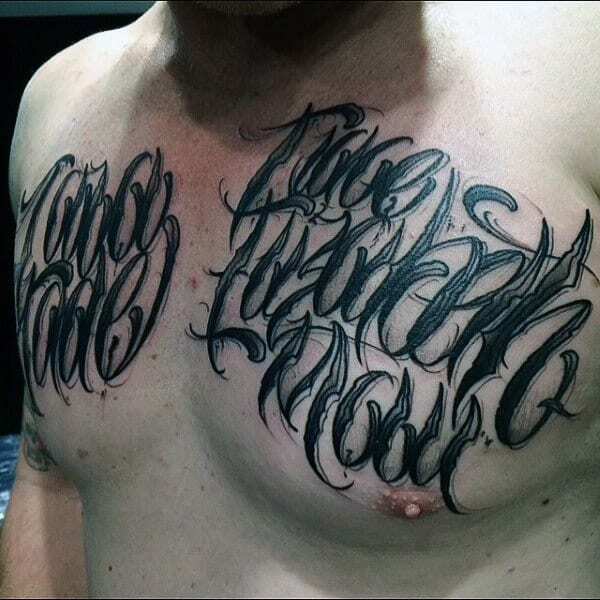 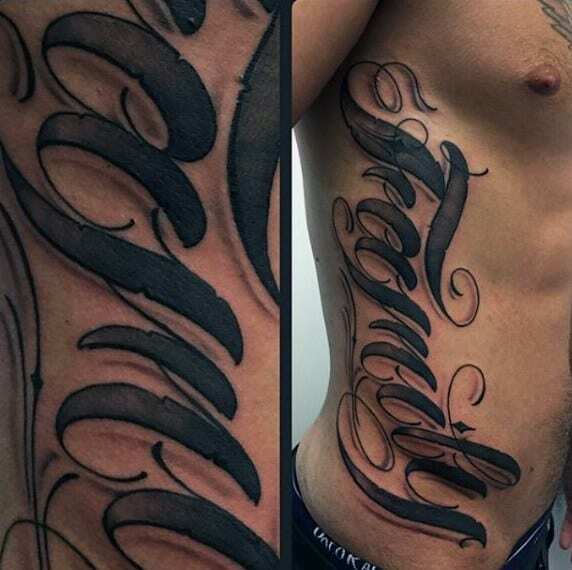 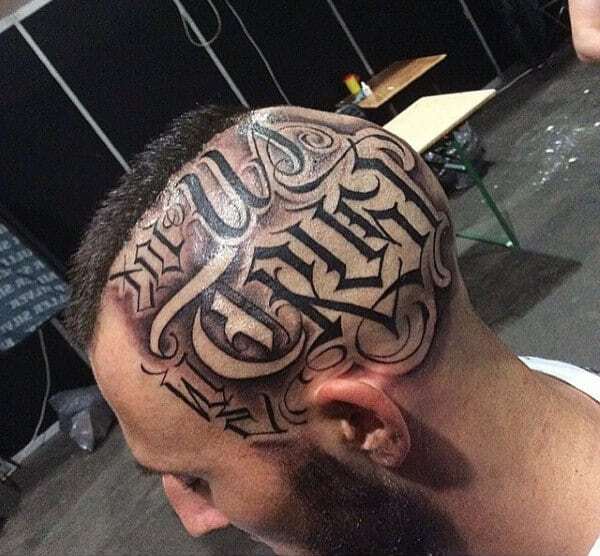 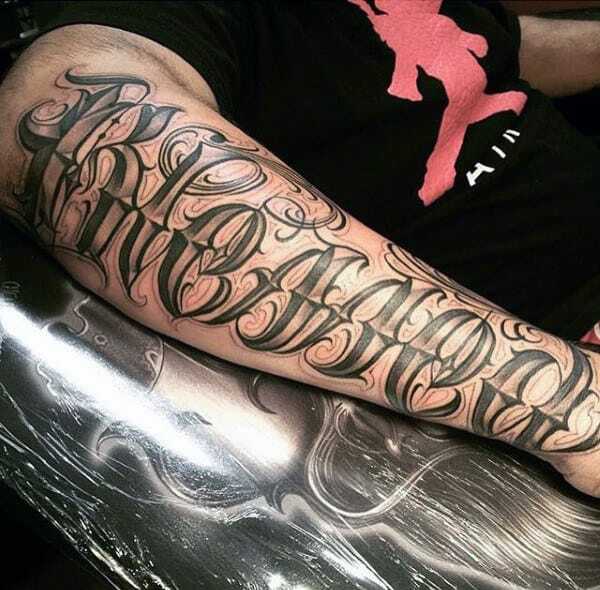 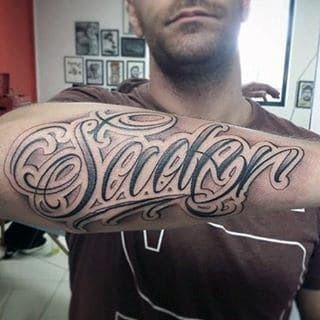 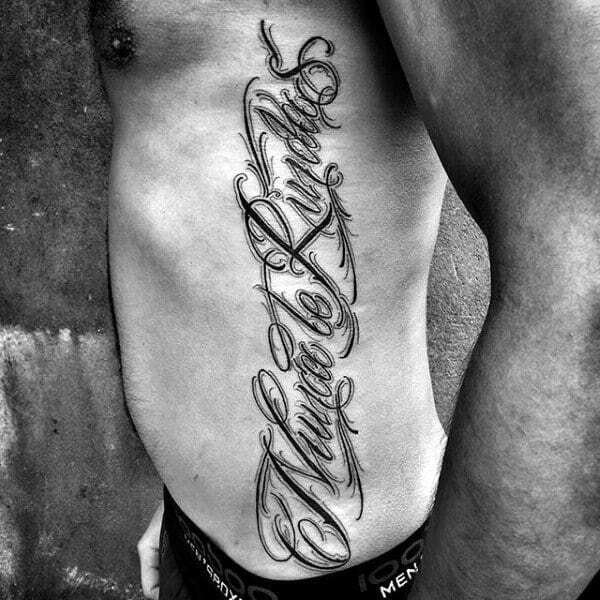 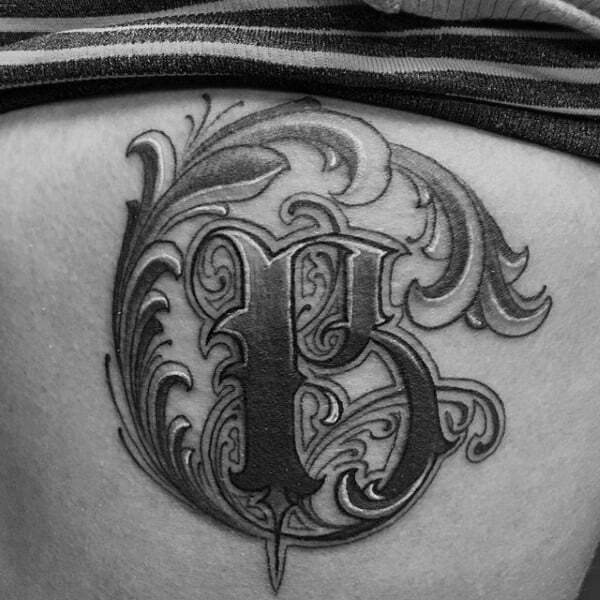 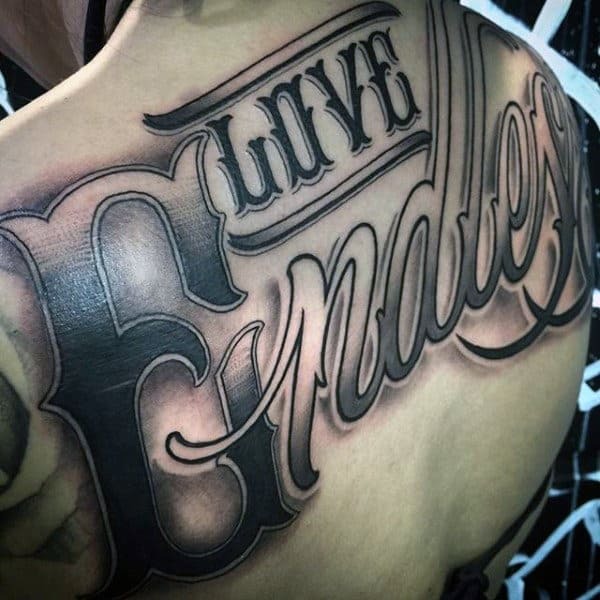 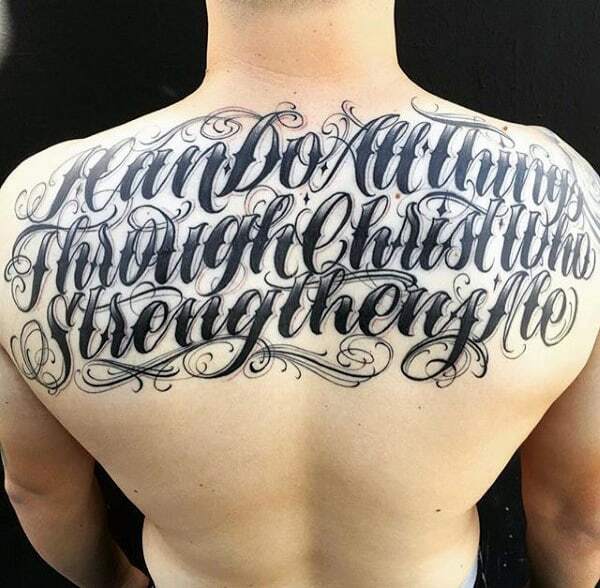 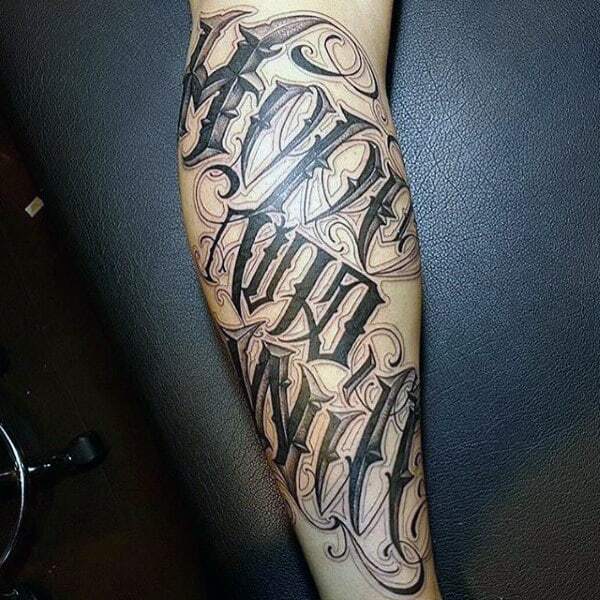 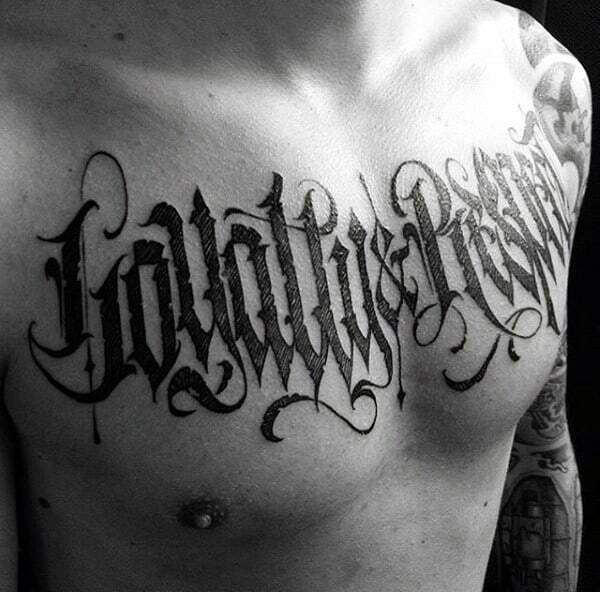 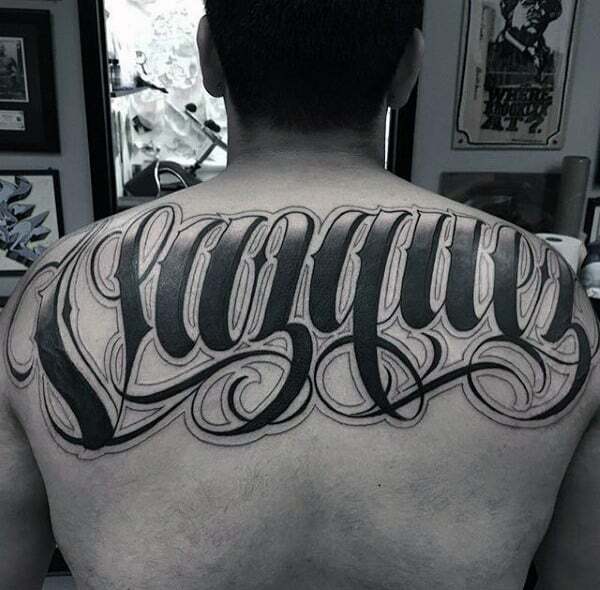 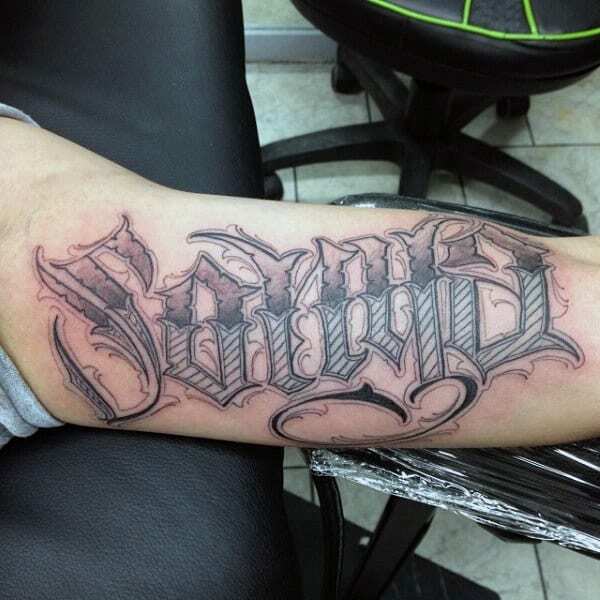 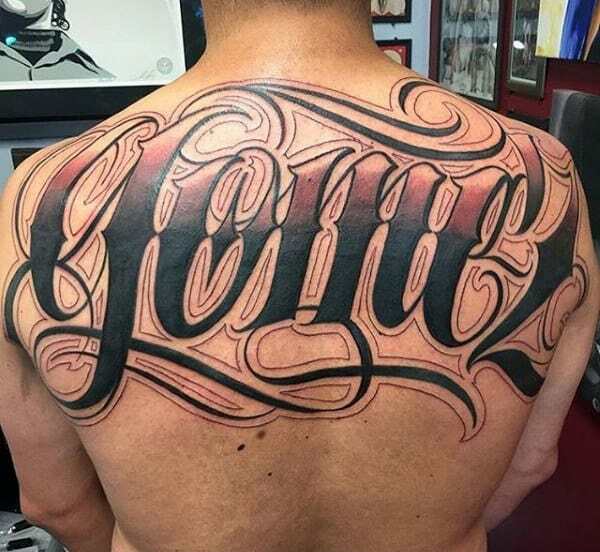 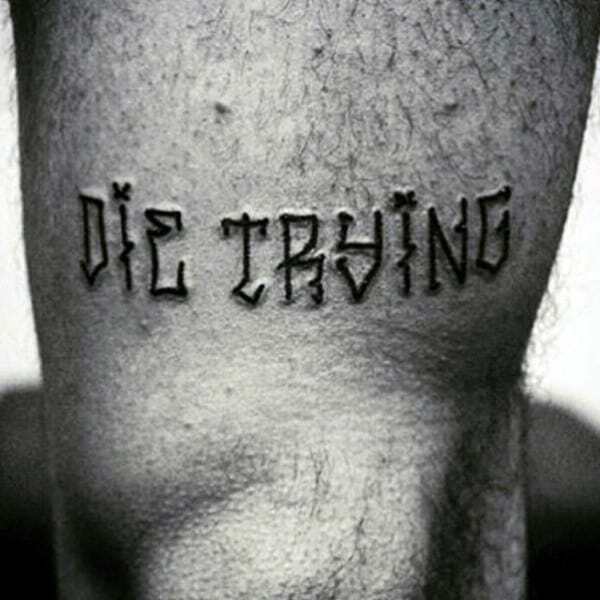 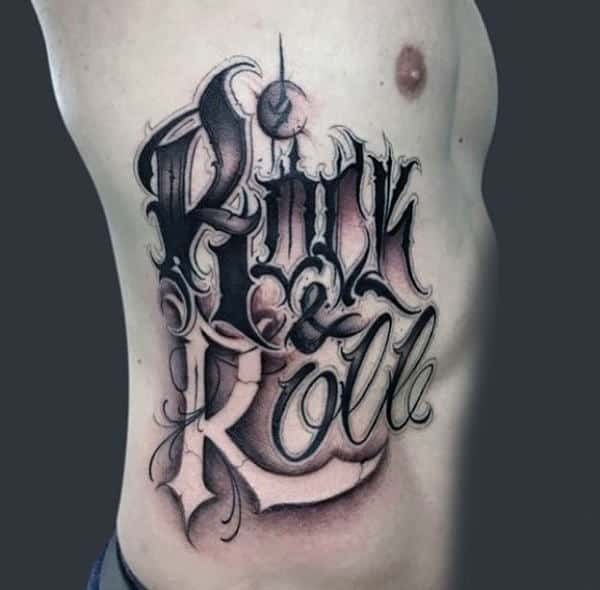 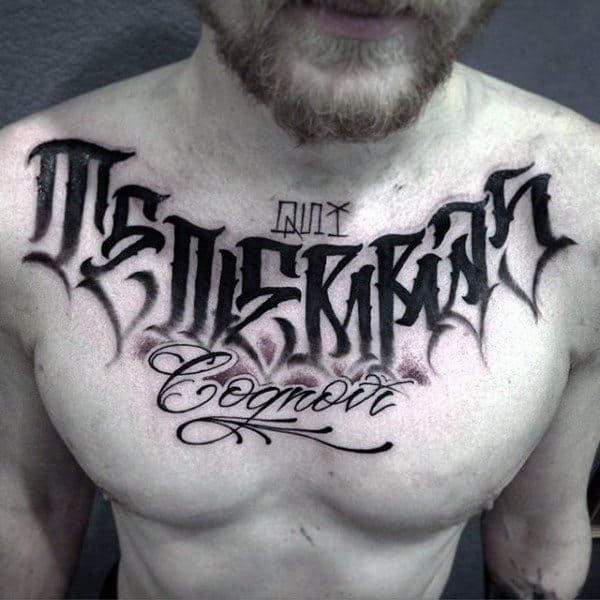 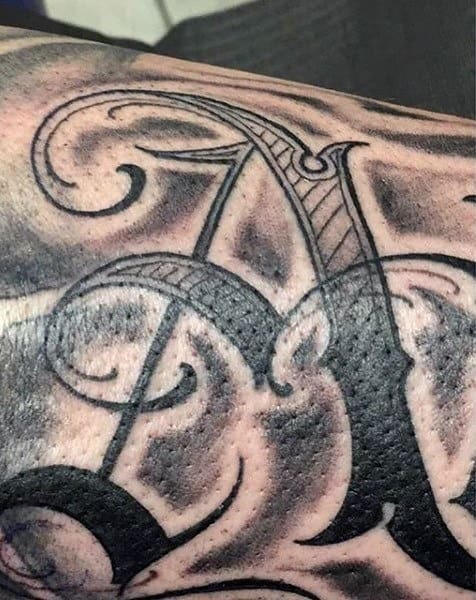 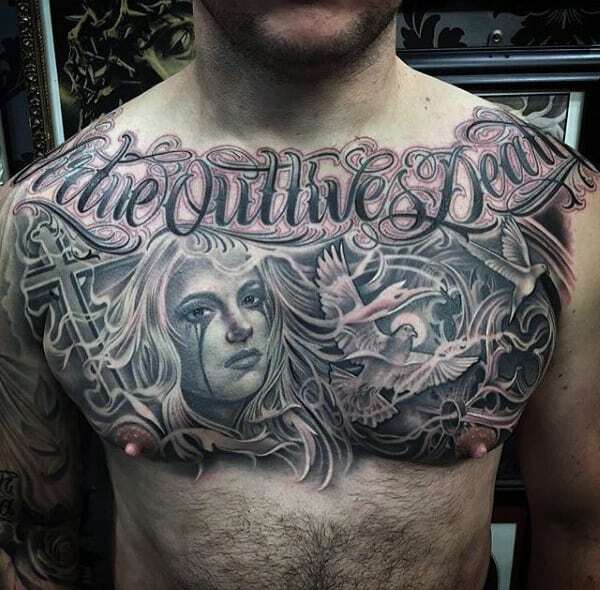 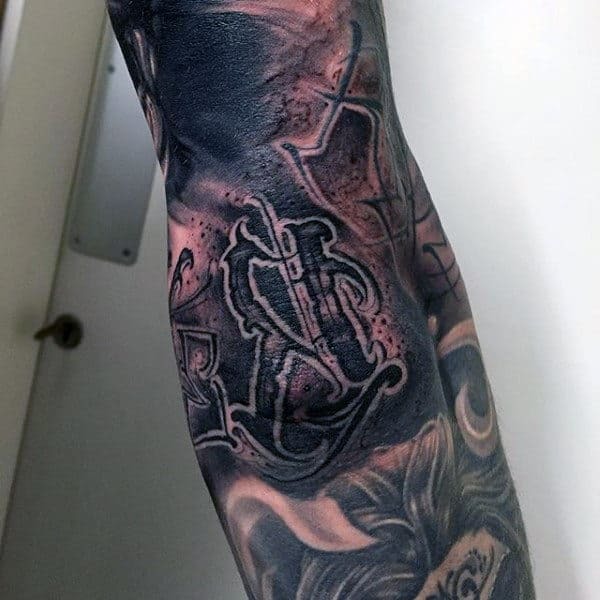 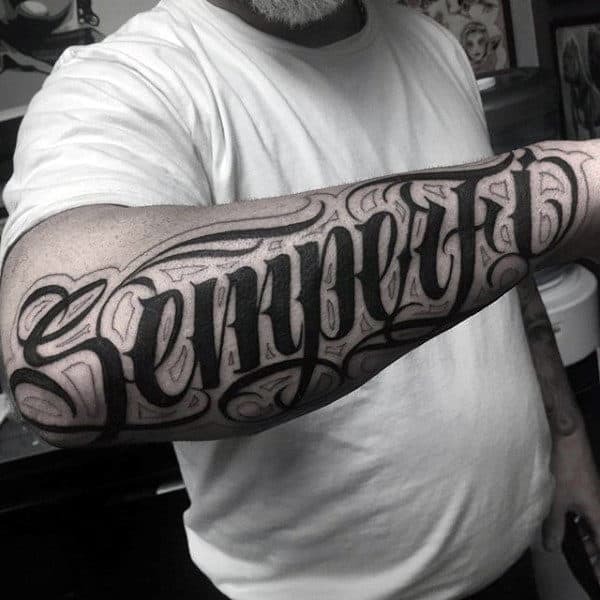 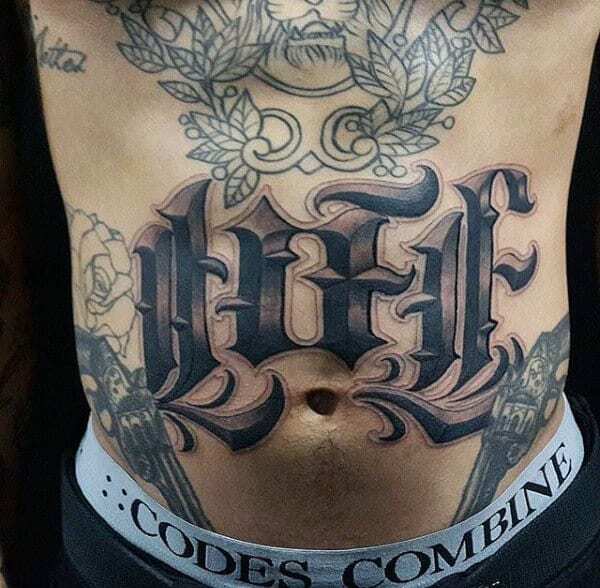 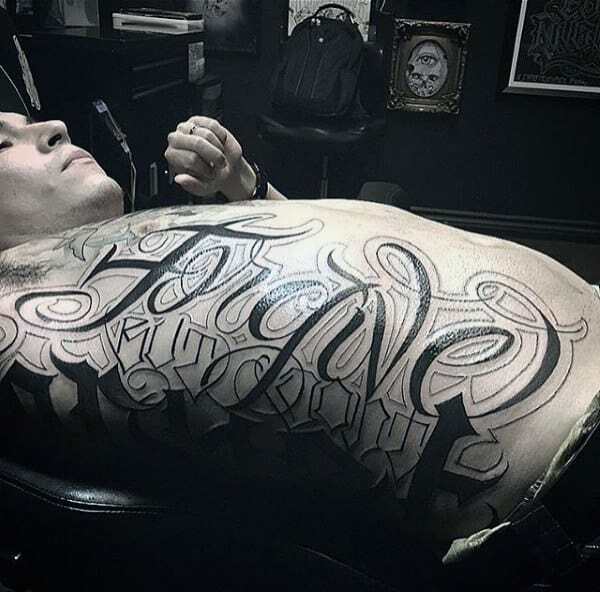 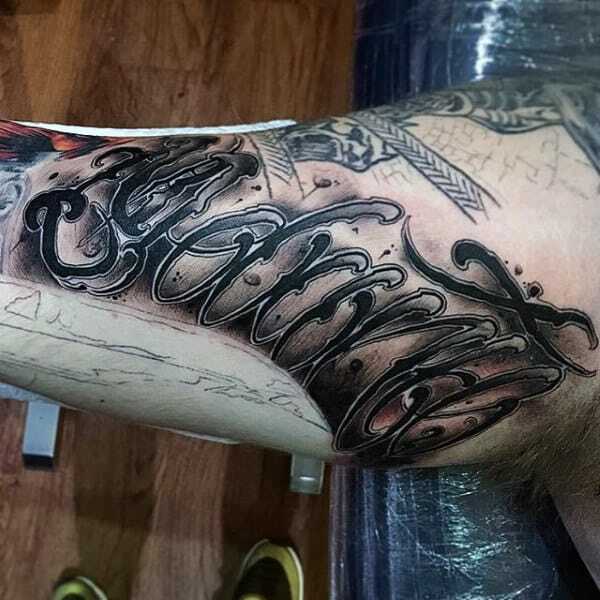 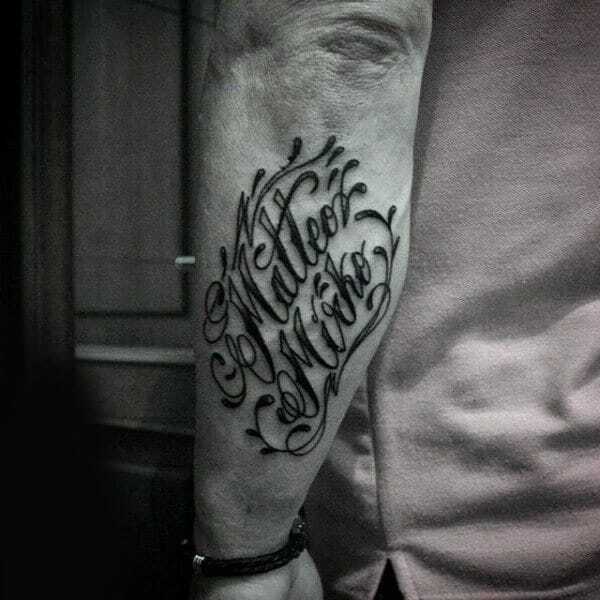 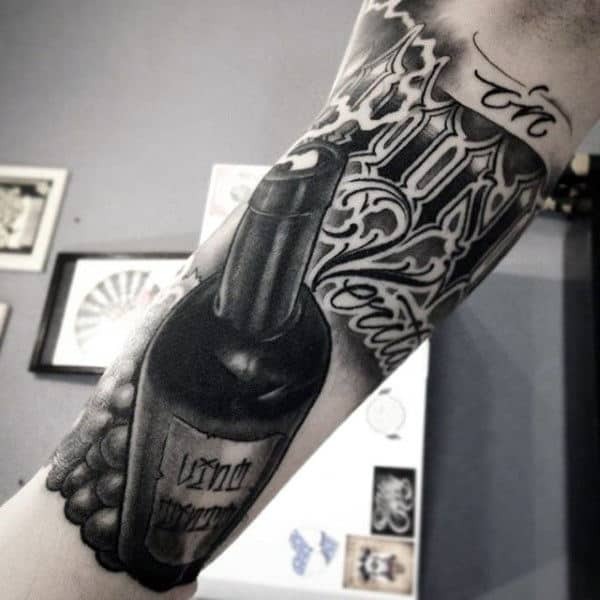 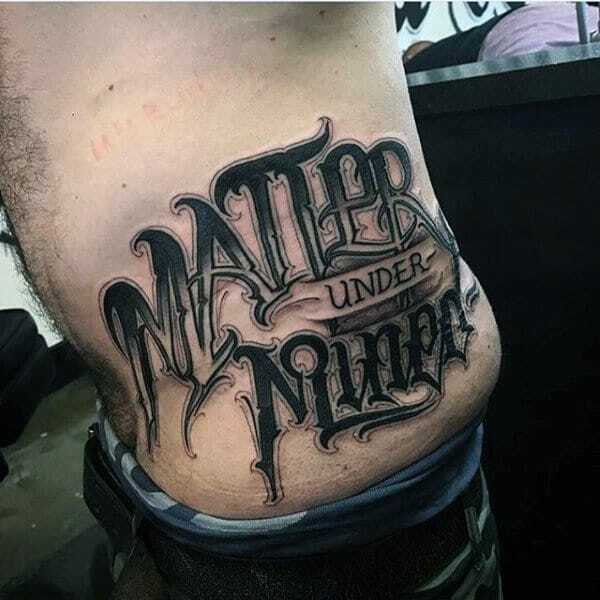 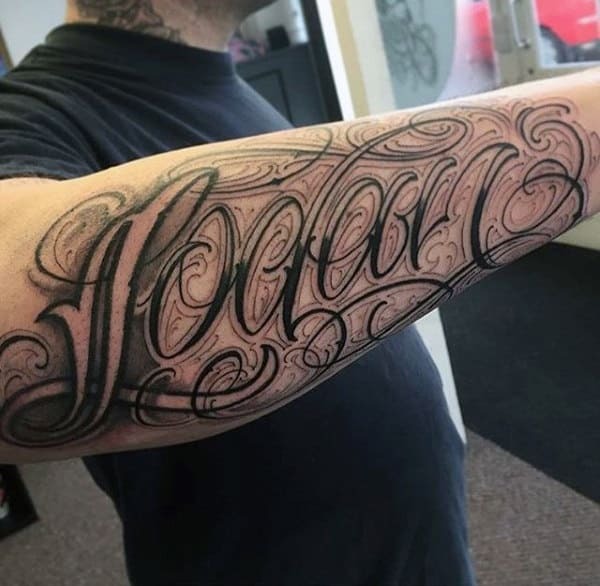 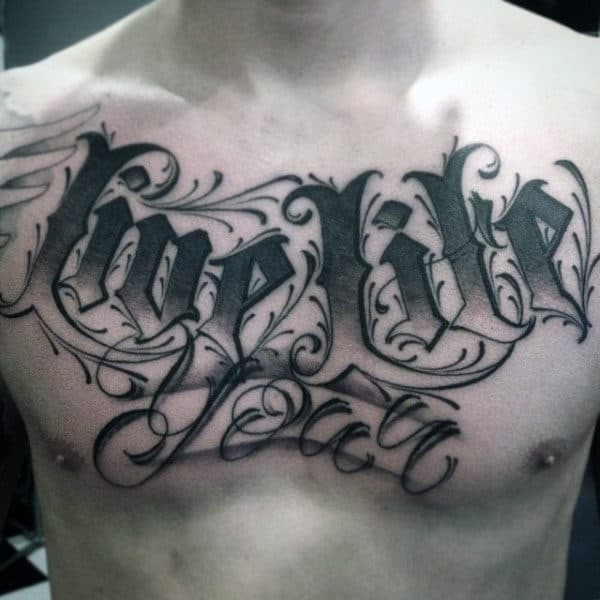 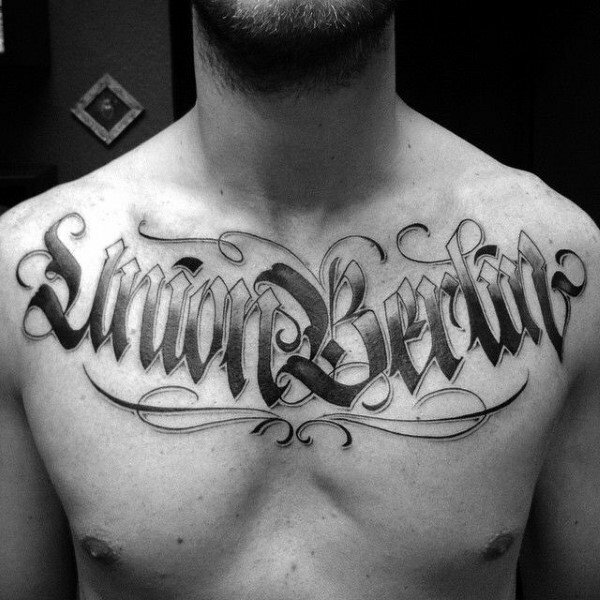 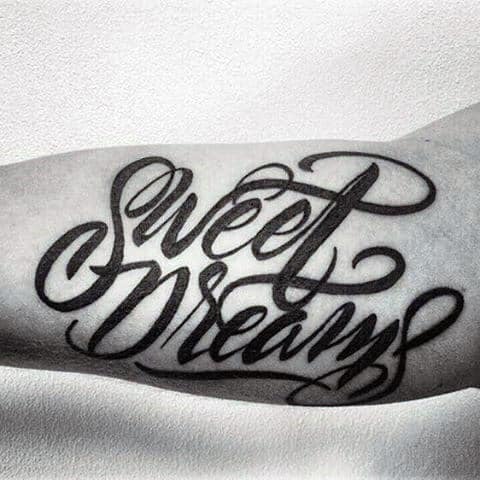 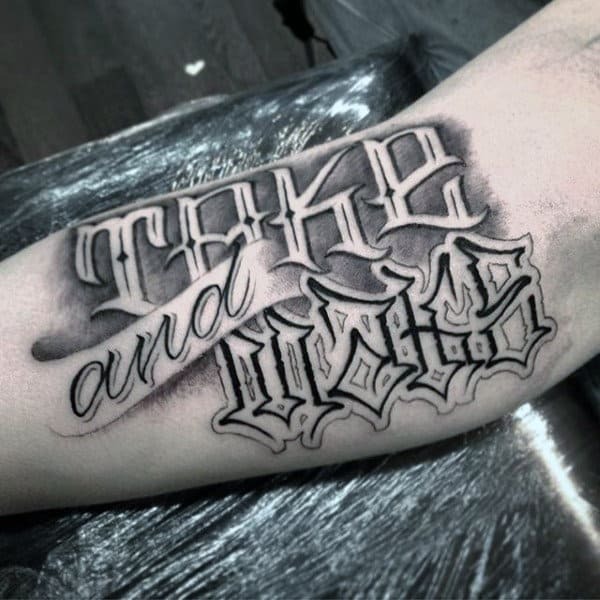 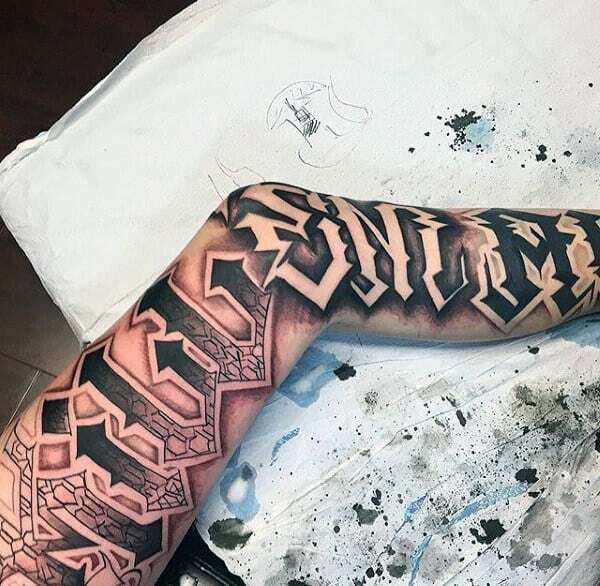 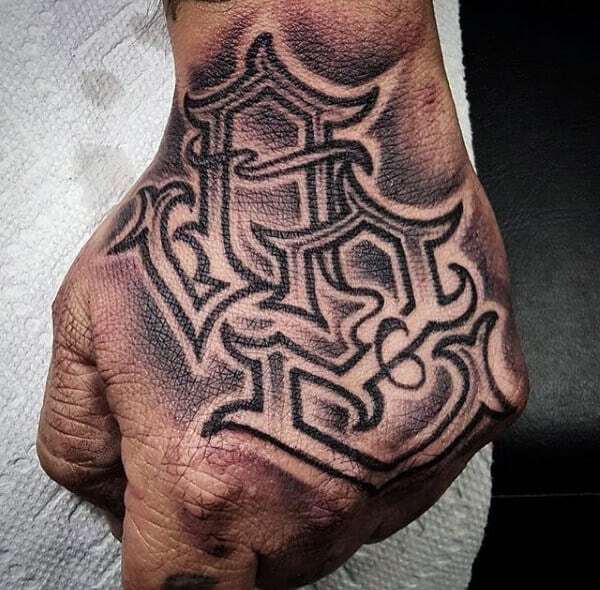 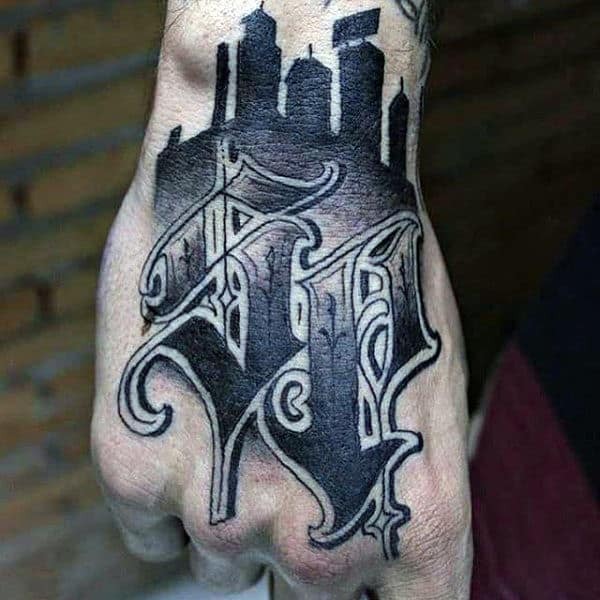 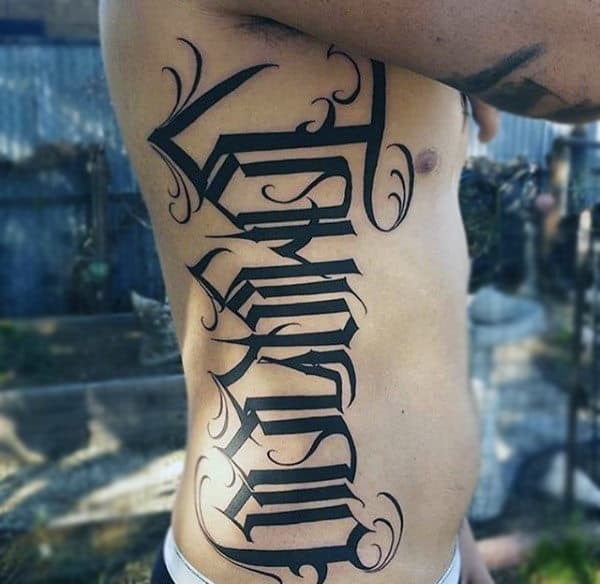 From names to quotes, every character you’ll find inscribed within these top 75 best lettering tattoo designs comes together to form some seriously cool body art. 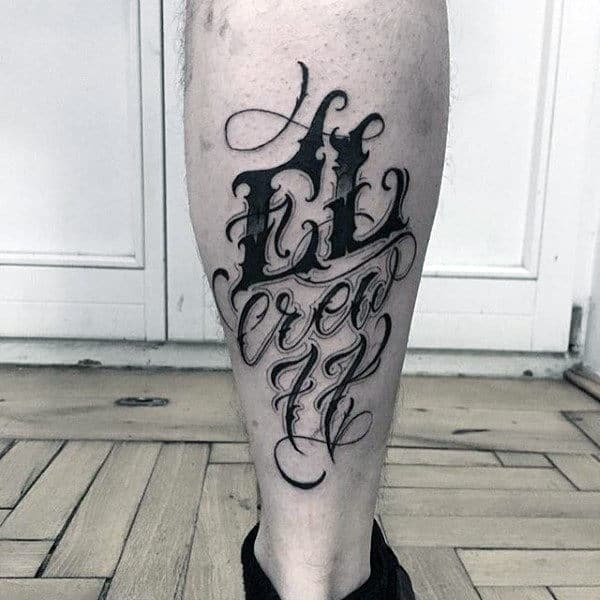 Sure, readability can be a bit weak at times with all the creative fonts, scripts and decorative touches, however, the meaning behind these words remains as strong as it is when spoken. 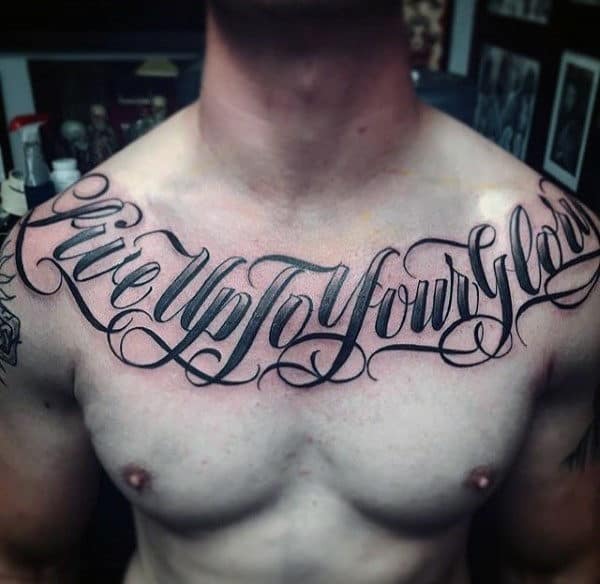 With that said, I’m going to show you how to bring your words to life below.